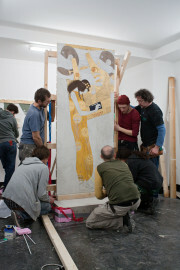 With the twin exhibition projects Close-up – Gustav Klimt ~ Gerwald Rockenschaub – Plattform, artist Gerwald Rockenschaub, the Federal Office for the Protection of Monuments, and the conservators at Vienna’s Academy of Fine Arts reflect on a key work from the period of artistic renewal at the dawn of the 20th century. 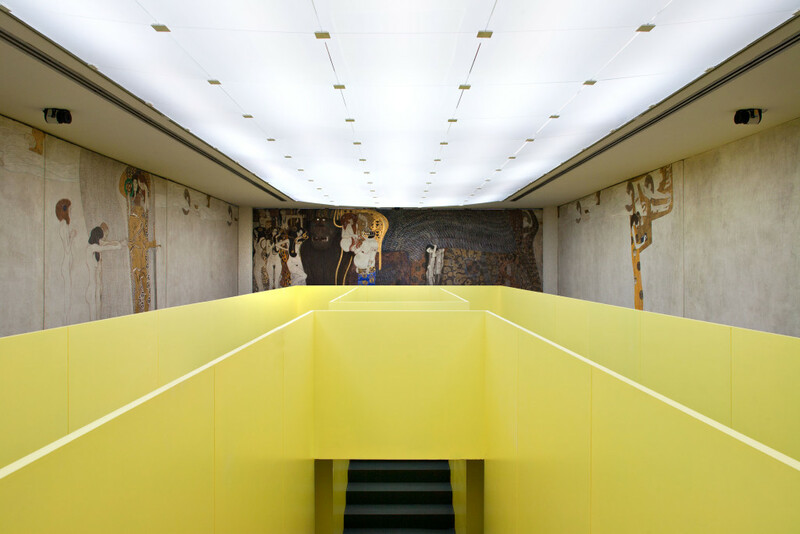 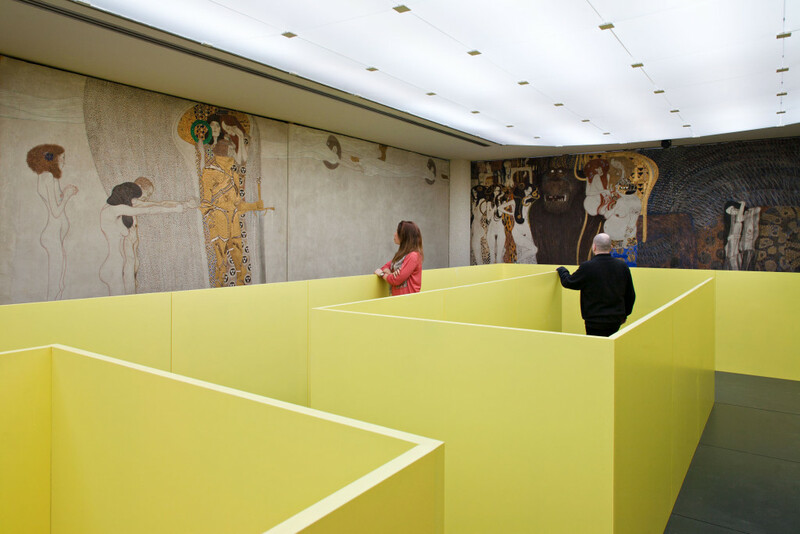 On the occasion of the 150th anniversary of Klimt’s birth, the Secession offers visitors a detailed look at the Beethoven Frieze, shedding both scientific and artistic light on this icon of cultural history. 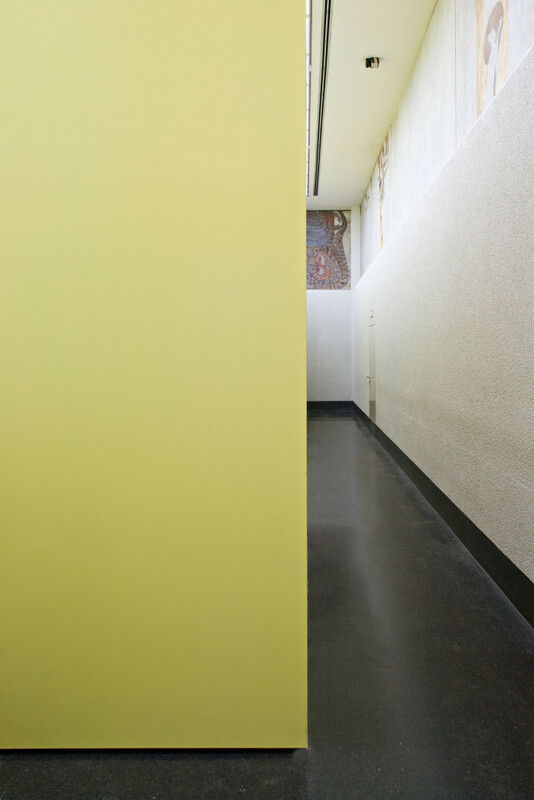 The installation Plattform (2012) developed by Gerwald Rockenschaub for the room containing the Beethoven Frieze at the Secession allows visitors to perceive this work from unusual perspectives and new viewpoints. 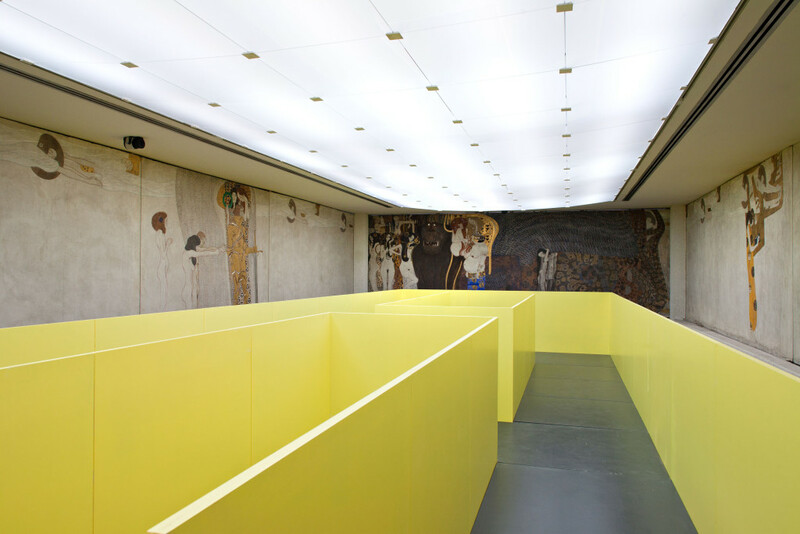 His sculptural intervention allows the frieze, that runs round the room at a height of between three and five meters, to be viewed at eye level for the first time. Gerwald Rockenschaub, born in Linz in 1952, lives and works in Berlin.